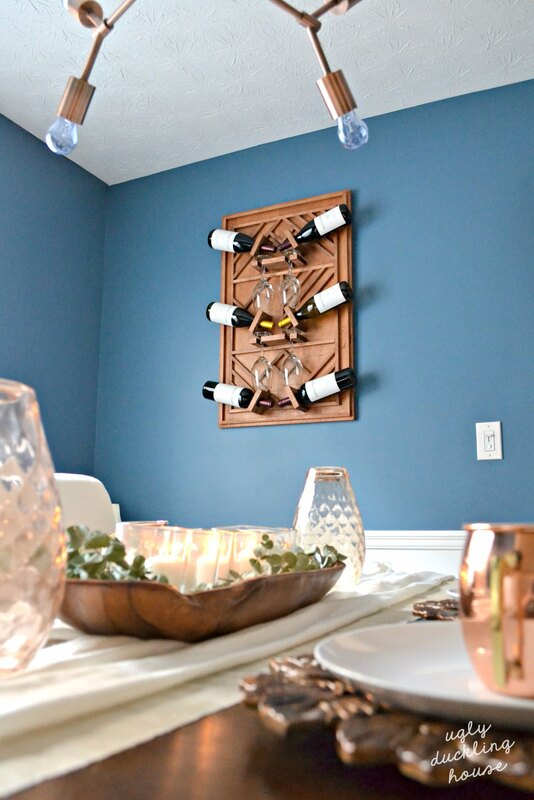 This plywood art wine rack is the exact addition my dining room needed; it adds warmth, a contemporary feel, and function for lots of entertaining. 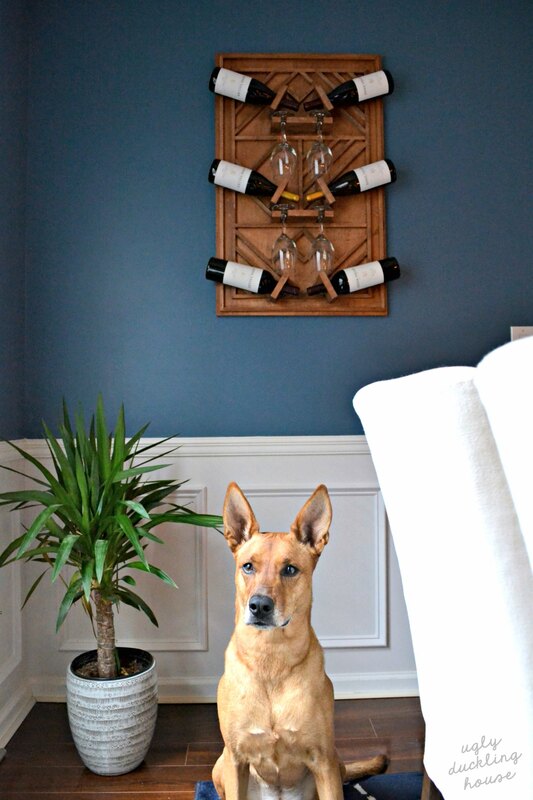 Today, I’m finally sharing something I’ve been working on a while: my new wine rack in the dining room! The photo doesn’t really do this project justice, IMHO. Swoon. 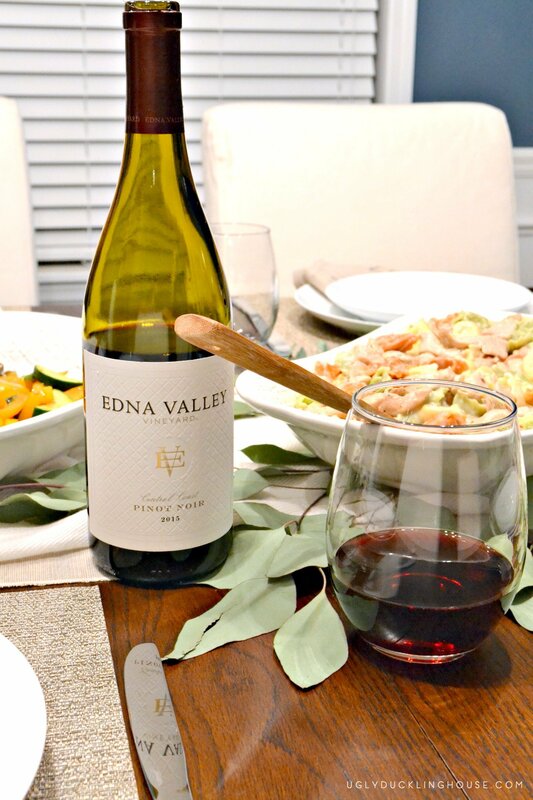 This is a fun sponsored post with Edna Valley Vineyards. I love wine and they let me try theirs and there was NO WAY I was going to pass that up! 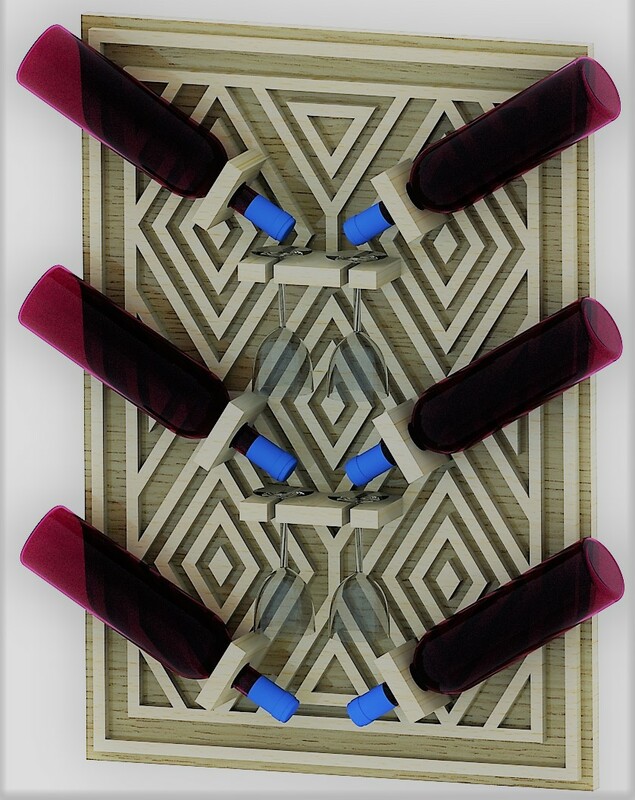 Also, I just plain wanted to build a wine rack (and I think the effort really shows in this one). But as always, all words, pictures, and opinions — for better or worse — are my own. 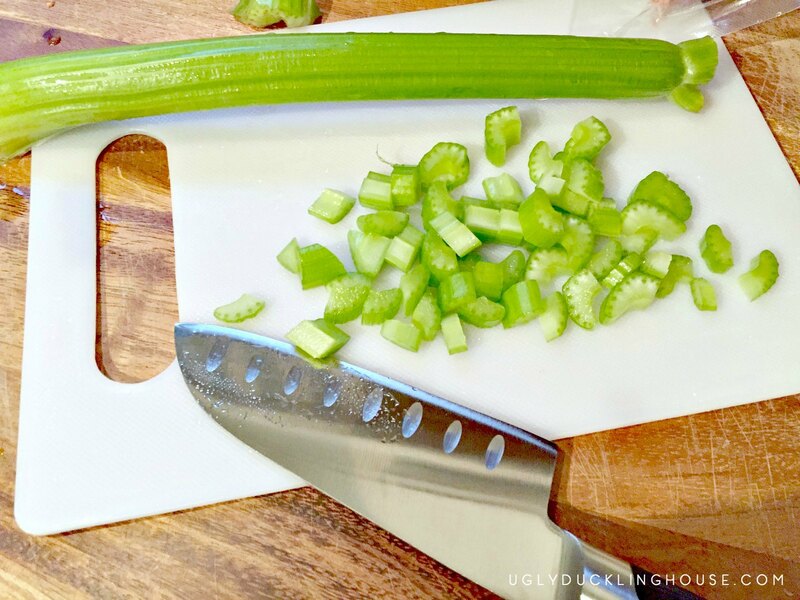 You can cook in your kitchen again (or in my case, for the first time? #adulting). 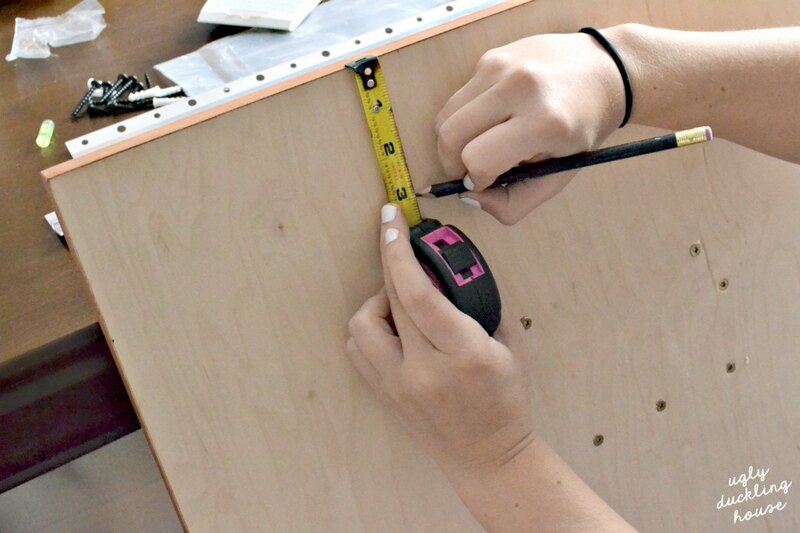 You can have other people over without shoving tools under the coffee table (that you just built, coughcough). Find new interests that include less (or even more) sawdust. You get the chance to relax and take pride in what you’ve created. And sample the really good stuff that makes life richer. 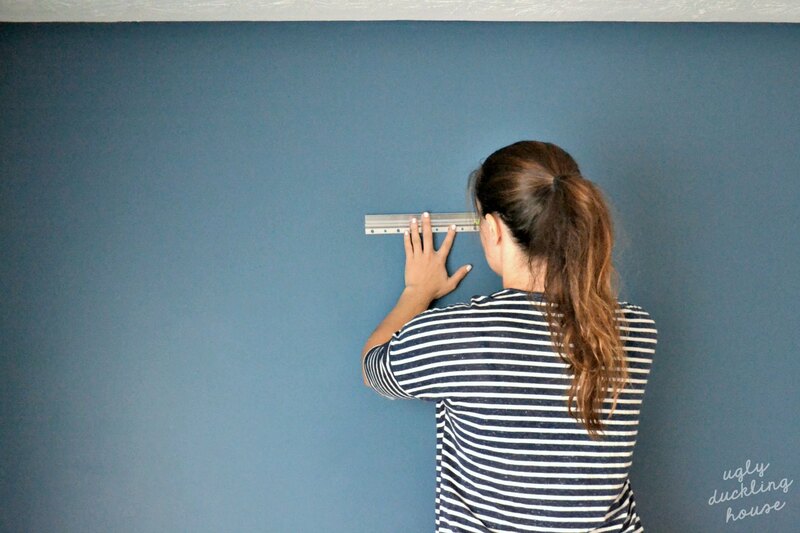 While I may never be the person who doesn’t have power tools around (BFFs for life), being in a serious relationship again made me realize how much I shied away from opening my home to others during this whole remodeling process. I guess, in a way, it paralleled how I felt about myself in general. Later, I realized that I would waste way too much time waiting for the house to be finished “enough”. To not be scared of the judgment of sharing my unfinished works to scrutiny. Will they see the potential like I do, or only the flaws? It was time to move on from that thinking. But the fact of the matter was, I didn’t really have a good place to store nice wine for longer periods of time. And while I really enjoy wine, I usually indulge in it when I have company over (or bring it to a friend’s house for sharing). I’ve been reading up on how best to care for certain wines and keep the cork from drying out, so I narrowed in on a plan to add an art piece to the dining room that could do double-duty for dinner occasions. The actual concept of plywood art, or wood art, is not really a spark of genius on my part. Love and Renovations did one inspired by Brepurposed who was inspired by All the Bells and Whistles. Vintage Revivals did one that was inspired from a restaurant she visited. My main inspiration though? Oddly enough, my new living room rug. See? 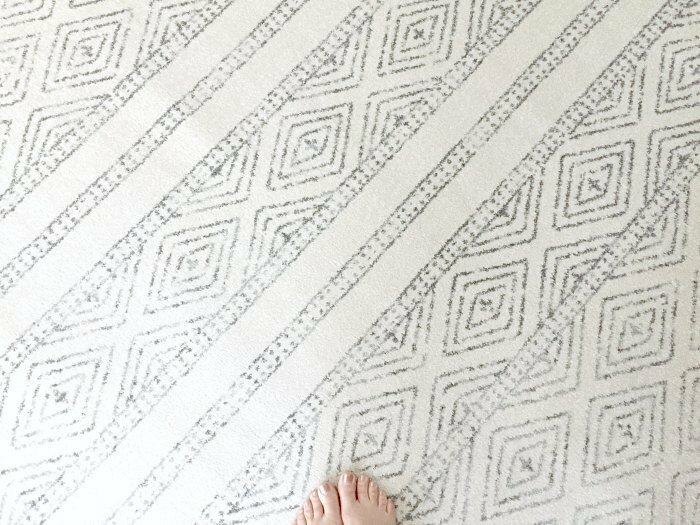 The pattern looks a lot more like my rug! Alas, I was a little overambitious and didn’t think in the slightest about execution. 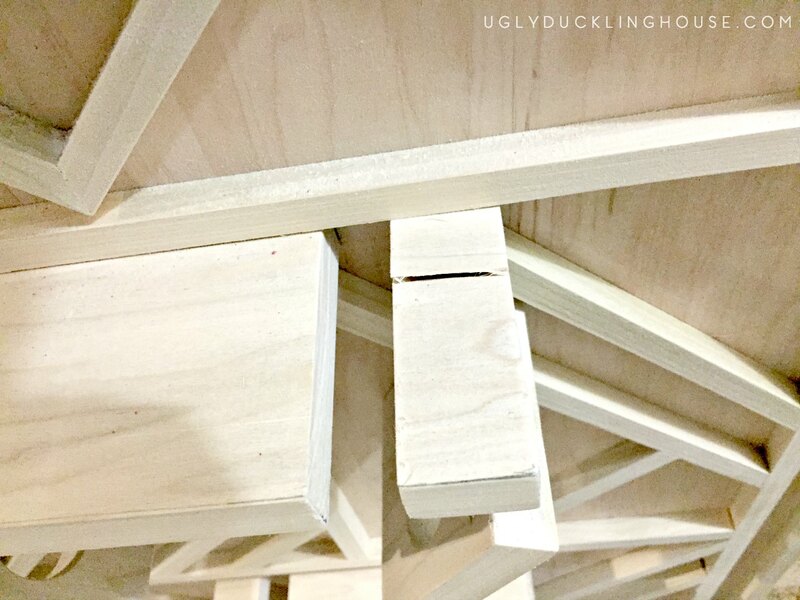 I started on turning it into a reality, and I realized that the angles were just way too difficult for my entry-level woodworking skills to keep it consistent and tight. 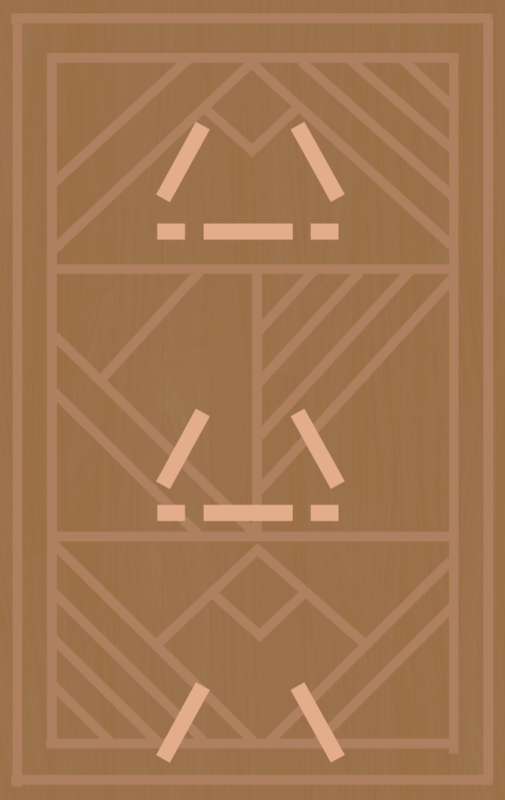 Gaps are kind of a big problem on a project like this, so a slightly-off piece could ruin the whole thing. I needed a simpler design concept. 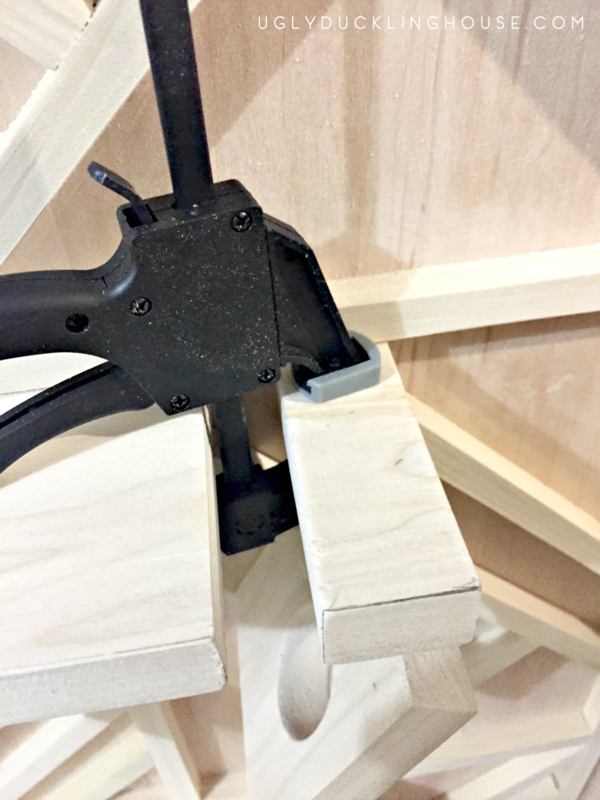 I’ve made a rudimentary supplies and tools list, but if you’re not comfortable winging it on your own with the actual placement of each dowel, you’re really going to need to download the plans for this one. I did my best though to focus on only 45-degree angles wherever possible so that it’s a lot easier to cut out with a miter box instead of needing more sophisticated tools. 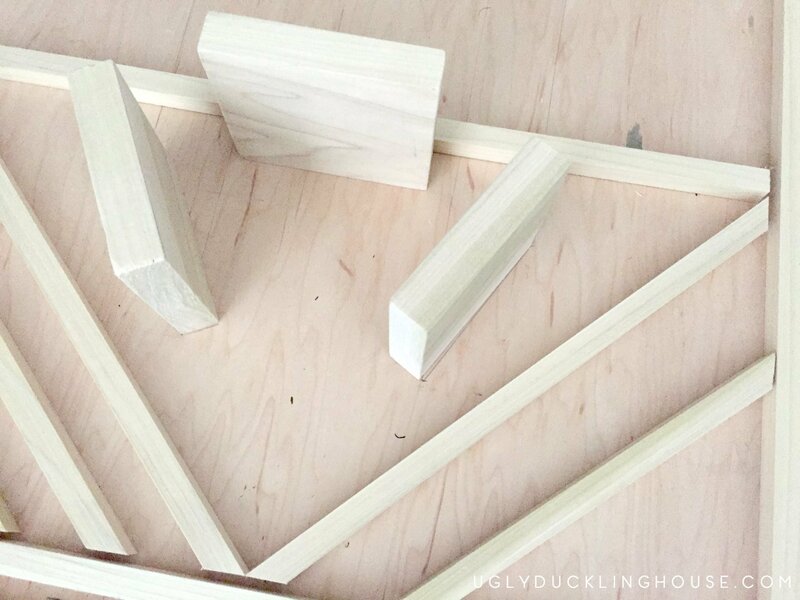 Wood glue – I just tried out this stuff for the first time; love it! The first step was cutting the plywood down to a manageable size. My board started out as leftovers from making my plywood counter in my laundry room, so I didn’t actually have a factory square edge to start with. Getting the backing nice and square is very important; the rest of the piece will look really out of wack if it isn’t and make measuring everything else that much harder. A lot of the dowels require 45-degree cuts. While I didn’t cut all of them that way, I started by putting a few of them in the miter box and using the pull saw to cut 45s on about 10 of them. I then used the plans as a visual guide to help create the first box an inch from each edge, then the next-longest pieces and so on. Starting from the outside in, longest to shortest, is the best way to keep waste to a minimum. Each discarded piece from the last cut can be reused for a smaller cut. The 45-degree angle is then already created for you on one side, too. There were a few places where an exact 90-degree cut was needed, which is also easy enough to do by hand on the miter box. The wine rack pieces were the most crucial to secure properly, so I did not glue anything down until I had those in first. These were made with 1×4 poplar, which happens to be the same wood species as the dowels that you get from the improvement store, so I knew that they would stain relatively the same color when finished. 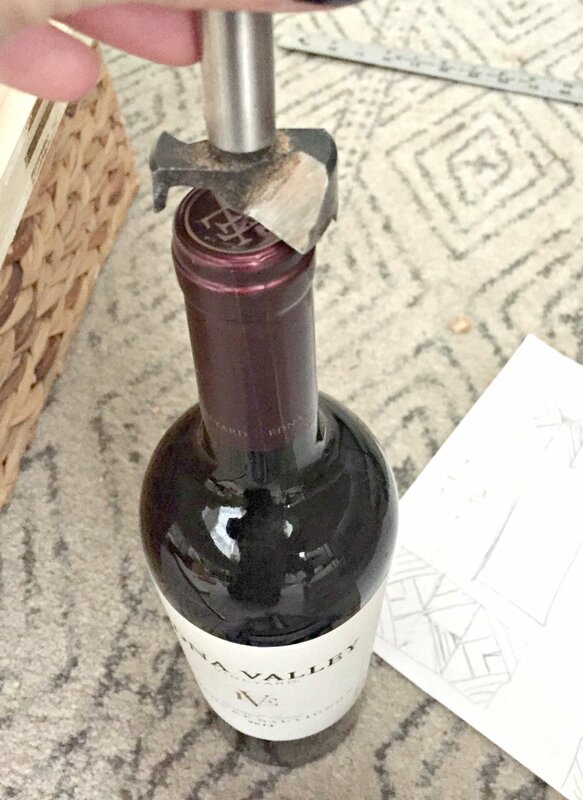 Drilling holes for the wine bottles proved one of the tougher parts, since I first tried by hand. It’s not impossible, but you do have to be a lot more careful with placement and keeping the wood steady (BE CAREFUL – securing it is very important or it will slip and you could injure your hand!). I made a real mess of the first one! For this, you’ll need a Forstner bit. Reading online, the recommendations were between 1 3/16″ and 1 1/2″ in size for the neck of a wine bottle. I had neither, but I did have one at 1 3/8″. I did a quick eyeballing of a sample bottle and it seemed about right. When I got frustrated with the lack of a cleanly-cut hole, I turned to setting up my dad’s old drill press (for the first time). Worked like a charm! 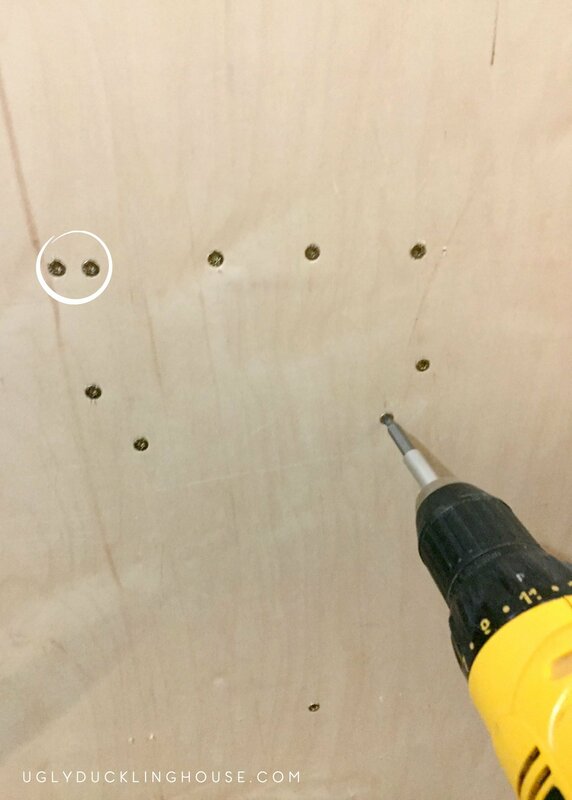 I glued down the wine rack pieces first, but before I did, I pre-drilled two screw holes into the plywood for each piece. 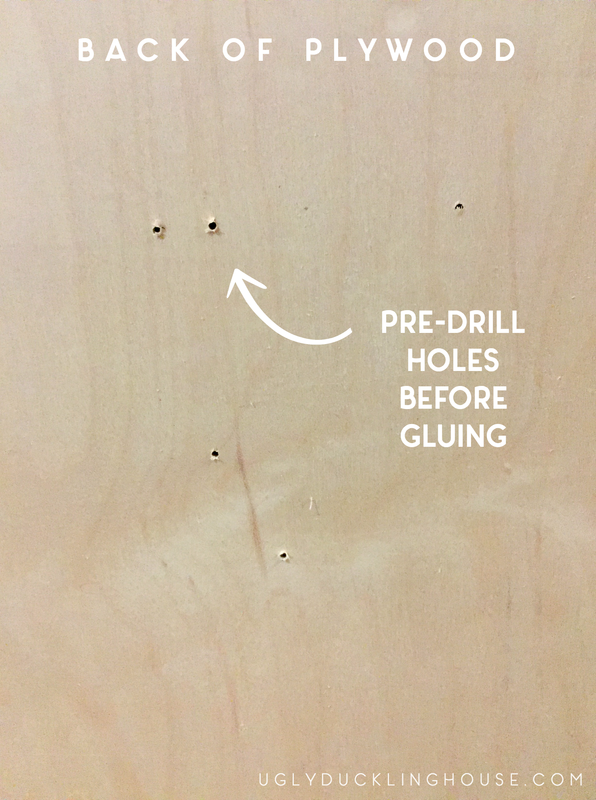 That way, the back of the plywood would already have every mark I needed for the wood screws. Then, the rest of the front was glued down. Even though the wood glue I used also picked up stain, it’s still not exactly the same as the bare wood, so if you get excess glue anywhere, it’s important to sand that out as much as possible. Otherwise, you’ll wind up with light spots when staining. I considered (briefly) to remove the piece and re-cut. But given how strong the bond of the wood glue was to the plywood, I decided my easiest solution was to unscrew the fastener that had caused the problem and use one screw for each of the small arms. The main pieces still all got two screws each. I took wood glue and a tiny clamp and straightened the broken piece back out. Once it cured it was hardly noticeable. I got lucky that this was also the underside of the piece too! Instead of framing, I added edge banding to the sides of the plywood. The iron-on process makes this a breeze. I wanted a warm stain color, so I chose Modern Walnut. 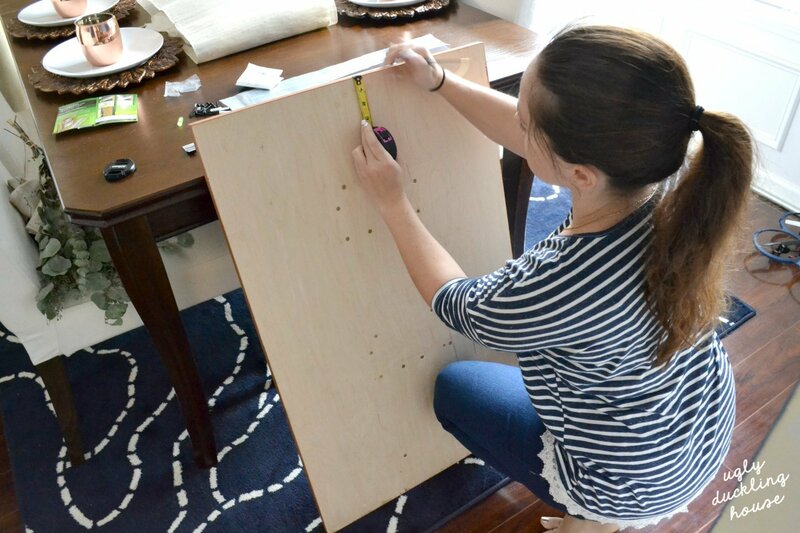 You might have noticed that there are still pencil marks, unsanded areas, and the whole thing isn’t stained yet — even though it’s all assembled and screwed together. I debated the order on this myself. 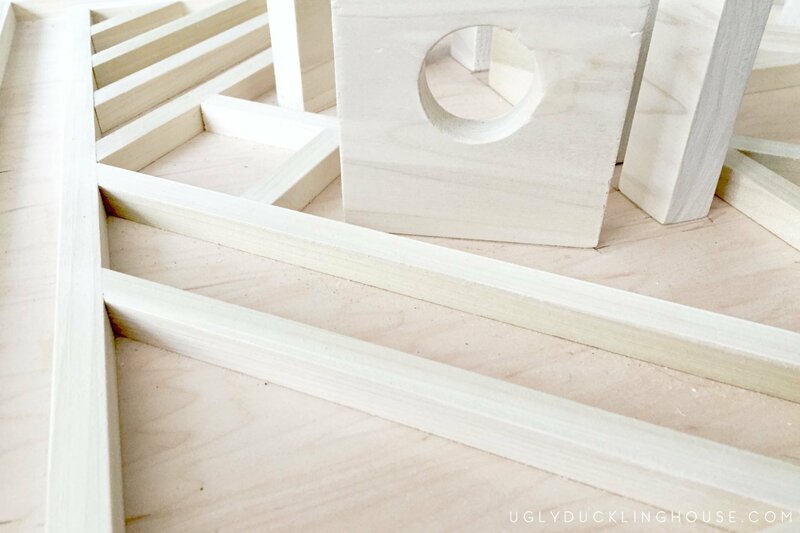 Often with difficult-to-reach areas, it’s a good idea to sand and stain (or paint) each piece just before assembly. That way, you can make sure everything gets a nice, even coat. I did the opposite here: secured everything down, then sanded and stained. There’s nothing exactly wrong with doing these steps in a different order; but it also involves some compromises, and you need to decide which alternative you might hate more. If you cut everything, sand, stain, and then assemble, there’s a chance that something winds up 1/16th or 1/8th of an inch off; it’s just the nature of 1) trying this for the fist time and 2) trying to have cuts so precise that you can barely see the seam. If you secure everything first, there’s a good chance you will miss spots since all of the little nooks and crannies are harder to reach (or getting to all of them just takes longer, and that’s not always easy on your patience). I chose the latter because even when dry fitting, making sure every little piece stayed put was a frustrating process. So, I glued and then stained. Don’t forget, you can re-use old clothing or buy t-shirt fabric for excellent staining rags! If you go the route like I did, wear protective gloves so you can get down into each little nook and cranny of the piece as you stain, as well as a small craft paintbrush. It worked really well, but plan for taking a couple of hours to get it all covered… its’ easy to miss a side, so you need to double- and triple-check as you go. 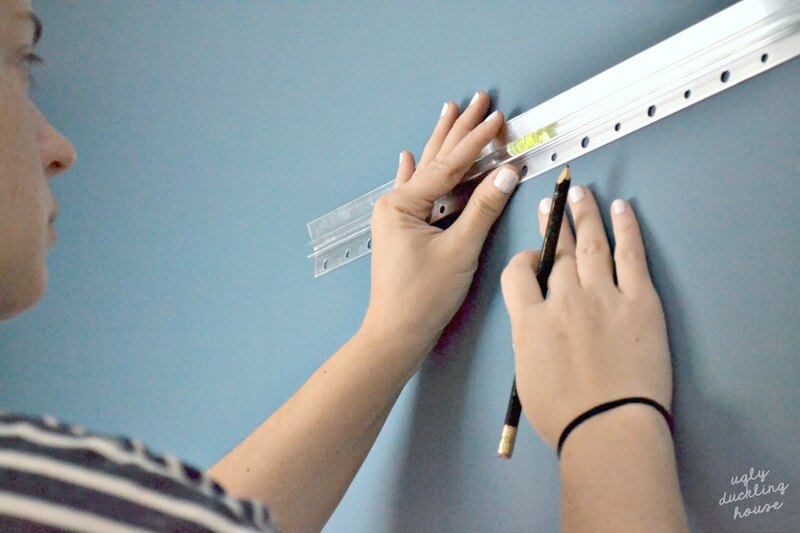 It also helps to use those little paint pyramids to help lift the work off the painting surface; that way, you can also stain all 4 sides of the edge in the same process. And with that said, here she is: my new wood art that doubles as a wine rack! To mount the piece on my dining room wall, I purchased a heavy-duty metal cleat system. About 3 inches down seemed like a good height from the top of the rack to keep the piece balanced. 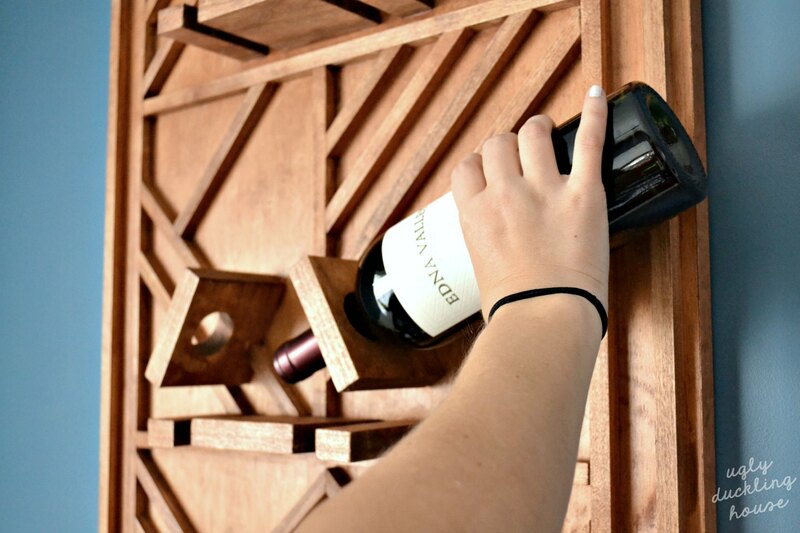 I used that same measurement to determine placement of the wall cleat (determine the top of the wine rack on the wall, go about 3 inches down). The cleat system comes with wall anchors in case you don’t have studs where you’re trying to mount. I took no chances on having spilled wine all over the floor and screwed into at least one stud (wine deserves to be enjoyed, not spilled!). The kit came with a little level to insert into the cleat. Since my walls are not perfectly square, I did a little adjusting so that the rack wouldn’t look crooked when compared to the ceiling or chair rail. But this made things much easier! With the new wine rack secured on the wall, it was time to add the finishing touches. I inserted my favorite Edna Valley Vineyard wine (holds 6) and accompanying wine glasses (holds 4). Personally, I’m partial to the merlot — my favorite of all of the samples sent. From where I typically sit at the table, I really like what it adds to the room. I chose a higher spot than the exact middle because I’m planning on later adding a small bar for buffet-style dinners (similar to how it looks on the other side of the same wall in the kitchen), so it needed to be placed in proportion to things that will be there in the future (including crown molding and perhaps some narrow mirrors on either side). The warmth of the wood looks beautiful against my floors and carries some of the angles on the copper light fixture. Since I had enough accessories to match both, it made my Thanksgiving/holiday table setting a no-brainer. I don’t think my affection for copper is going away anytime soon! You might have noticed a pair of familiar ears in that last shot. As always, my project supervisor is never too far away, inspecting my work. Verdict (both hers and mine): the perfect addition for my next hosted dinner with family and friends. I’m both hosting family Christmas AND doing a New Years celebration here… many of you will know how BIG of a deal that is for me! And if you got down to this part, here is the best part. I am making a second one. For one of you. To enter: as I usually ask, leave a comment on this post and enter your info in the widget below to confirm your entry. If you’re seeing this in a reader but don’t see the widget, click over to my blog post URL directly here. Rules: Must be 21 or over to enter; even though this isn’t giving away alcohol, I have to restrict for liability reasons. Continental U.S. only. Comment about: tell me something funny about the last time you and your friends/family got together. This has no bearing on who wins… it just makes it more fun for me to read as I approve entries. 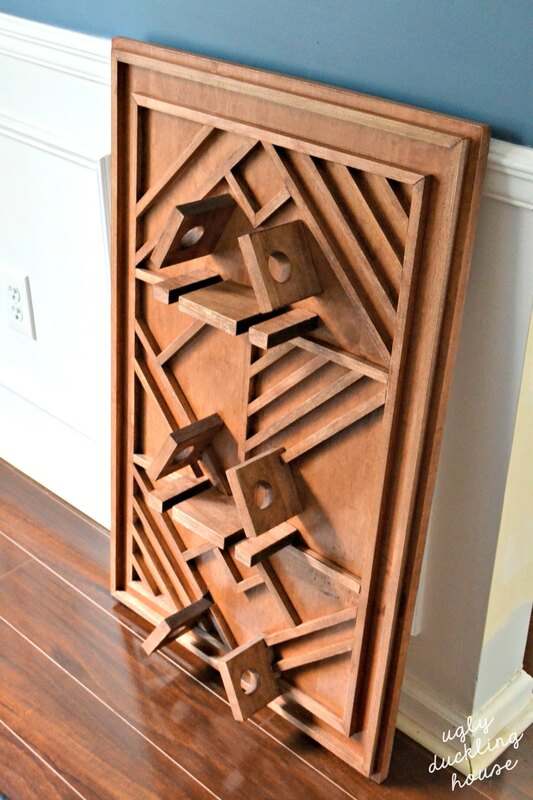 Wood Art Wine Rack Giveaway! That is such a cute story! My boyfriend doesn’t dance either but I can soooo imagine him in this scenario. The other day he heard a tune he liked and started wiggling around and I laughed at his “dancing” attempt. The last time my family got together was for Thanksgiving. My mom always makes homemade noodles and then lays them to dry out. Her new dog decided the raw noodles would be his dinner. He ate over half of the raw noodles and we were all disappointed. My mom only makes them at Thanksgiving and so the whole family had to spread out half of what we usually eat. Oh, I’m so sorry. But now I guess he probably got a pretty great introduction to the family (and made up for past missed holidays with you guys). We have meals in my family I look forward to every year as well. 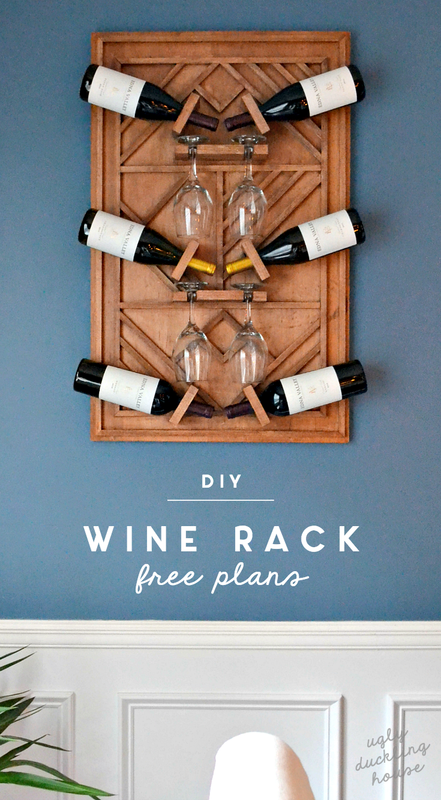 Awesome wine rack that would look great in our new home…but with all the other projects my husband has going with said home, I know the last thing he would want to do is build me a wine rack. ;) My funny story happened this last weekend. My family was celebrating my mom’s birthday and because of my husband’s business we thought for sure we wouldn’t be able to make the trip down to see her for her party. A friend came over the night before and mentioned wanting to go downstate for some equipment shopping and said he’d help my husband finish his job up faster the next day if he could catch a ride with us. It’s a three and a half hour drive to get there. Half way down my mom called and my car took the phone call, she immediately asked if I was in the car and where I was going, meanwhile two guys are trying not to laugh and give it away. I changed the subject and ended up making plans with her for the next weekend…shopping, dinner out, planning an entire family Christmas dinner because she knew I might not make it down for the holiday itself before finally getting off the phone. At which point the guys were just looking at me like I was crazy. I just said “we’ll figure all that out later.” We showed up just before her party started in time to help with the final details and she was indeed surprised, but now I have to figure out how to make this weekend happen. Too bad all of my amazon Christmas gifts won’t be here in time for that family Christmas we planned. My family and I are doing my house for Christmas for the FIRST TIME this year! I’m so excited but I have to rush to get everyone’s presents in time. Amazon might be my assistant for that one! I broke down and signed up for Prime. It’s been really worth it for me. I even buy toilet paper with prime (not to mention, it has photo storage and TV streaming included… so worth the cost!). The one you were trying to match/make was cut from a single sheet of plywood with very fancy equipment. I like yours better, it matches these art-deco mirror clips my husband made. We have a very reflective master bath we have to to warn our houseguests on. There’s an ignored powder room off our kitchen, but somehow the master is used more, because it’s door is in the sight line from the dining area. This master bath is a room that is split with a wall. There are 3 large wall-to-wall mirrors that reflect around the wall (and a mirrored medicine cabinet). So we warn guests on the unfortunate reflections, we got an extra tension rod to hang a random towel in a key spot, even still there are still unfortunate moments in that bath. Haha! Oh, how awkward. But sometimes, you wind up coming up with some really creative ideas when obstacles like that occur! 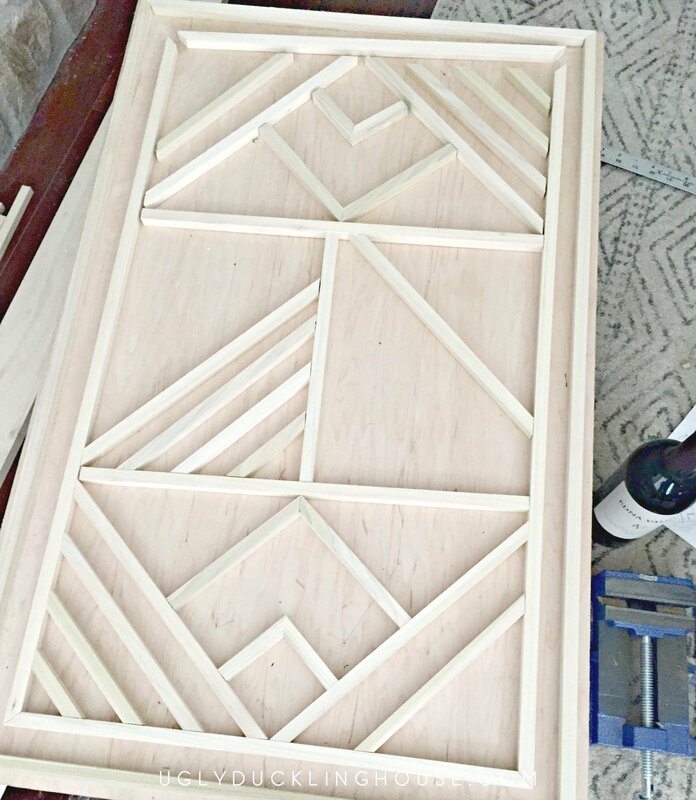 I love how your wine rack turned out, so beautiful! We are building a new home and I’m already dreaming about decor for our new dining space. 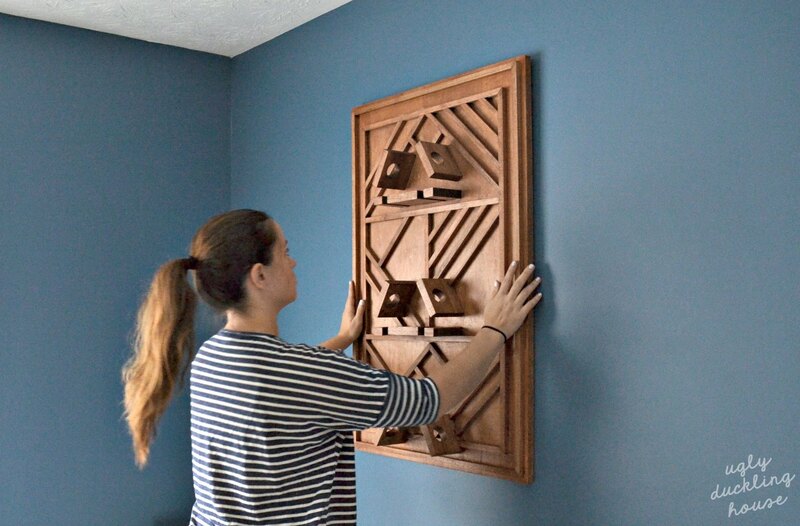 I love how this doubles as both art and functional storage! I recently had a reunion at my house with several of my college roommates that I hadn’t seen in awhile. I had popped some of those frozen mini-appetizer things in the oven right as they were arriving, and we got so engrossed in our conversation (and wine) that I completely forgot until they started smoking! Fortunately good friends and good wine can overcome any party mishap, and we all found it absolutely hilarious. Thank goodness you didn’t burn anything! But I recently did the same thing with leaving a pizza I was trying to reheat in the oven as I got engrossed in work. Oops. Katie, congrats! You were picked by the widget as my winner! This is INSANE to me how lucky you are with my giveaways… I think you’ve won at least one of mine before, right? 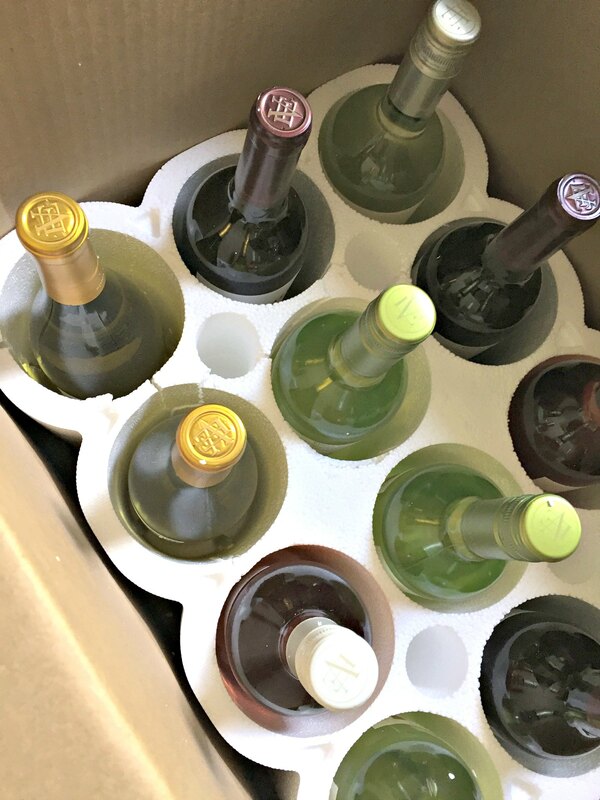 Thank you for subscribing, and please be patient as I make this wine rack! I’ll be in touch with you via email soon. 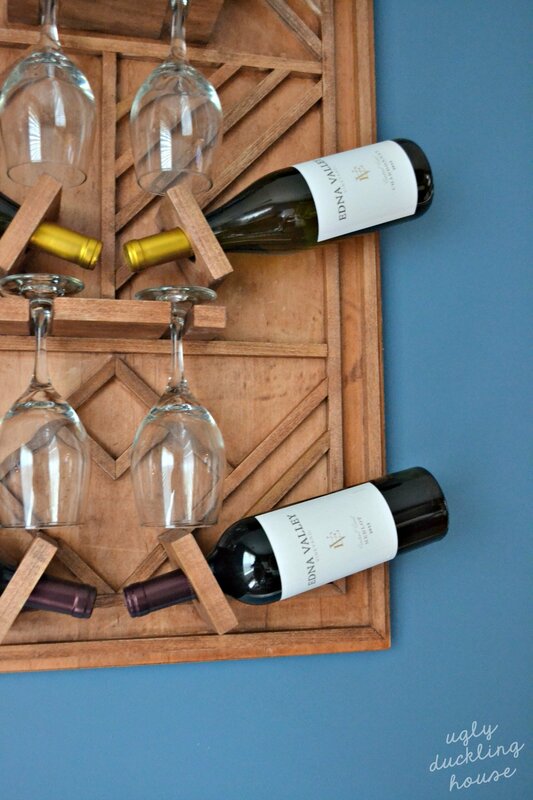 That wine rack is seriously gorgeous! The last time my family got together, we assigned who was making what for Christmas brunch from a list I had already put together and it STILL took us hours because we are forever a family of interrupters…. Love the wine rack! Our dining rooms are eerily similar. Wish I had the patience for something like this! First, I want to thank you for the net neutrality links. The original purpose of the internet was to freely share information and we will all lose if we lose net neutrality. Second, I love your wine rack. So very cool! 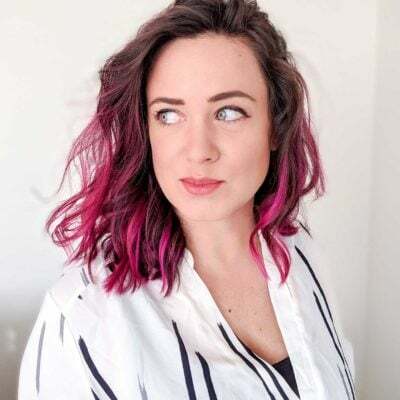 Third, I’ve not left a comment for you before, but I love what you’re doing — I’m sort of an older version of you: I love me some power tools, building things, and I refuse to pay anyone to fix things for me because, really, how hard can it be? Yep, I’m one of those. 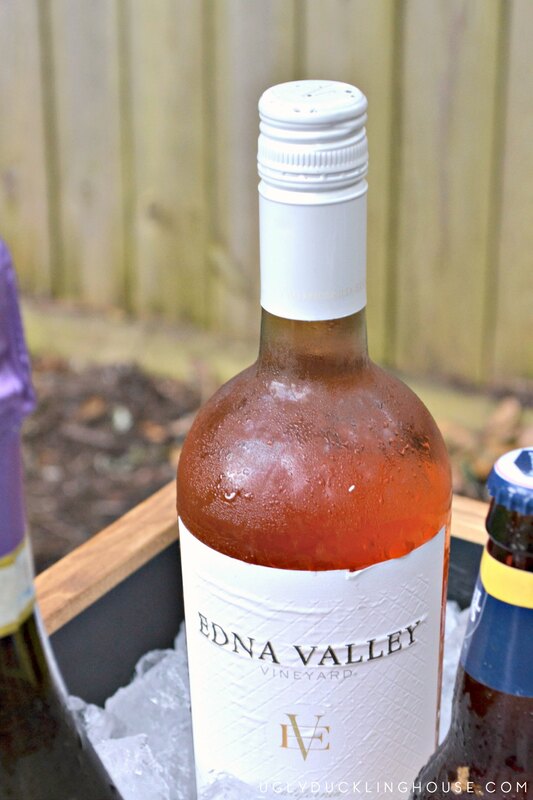 Third, I don’t really have a funny bottle of wine story for you, but one late one night, a neighbor/friend where sitting on her patio and drinking a bottle of wine and we started talking about facebook live. I’ve done a few facebook lives, enough so that I’m not totally self-conscious about them. But, she had never done one, and refuses to do them even though I think it would really help her business. Anyway, I pick up my phone, get facebook live running and start interviewing her. It’s well after midnight, the lighting is awful, and we clearly had too much to drink. I cannot make myself go back and look at that video….And, she will not drink with me if I have my phone out. Finally, I just love the photo of your dog on the roof. Makes me smile every time I think about it. WHich is just about every time you post a picture of Charlie. I have cats, but I can see them doing the same thing. I had dinner outdoors at a friend’s home recently. Right in the middle of the meal something went haywire with the timer, and the sprinkler system doused our meal. This is something that would totally happen to me. And then the dog would jump on someone and get mud on their pants or something. Too funny! So good! I would love to visit their winery someday. That sounds like fun! Awesome! I have a small house and this would be perfect hanging on the wall. This is a piece of art that just so happens to hold wine….absolutely gorgeous. Wow Sarah! This is really beautiful, you are so creative! 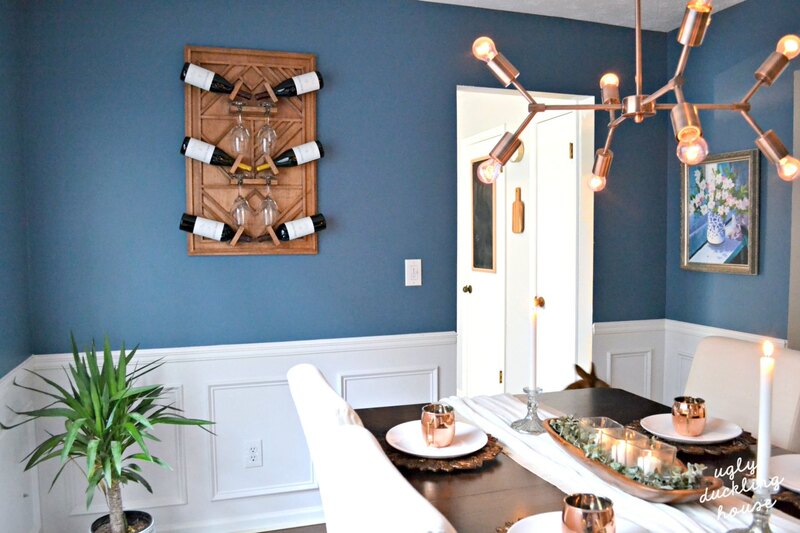 I love how it looks in your dining room- very nice on the blue walls. As a subscriber should i be getting an email each time you post? I’m not, and when I do come on over I’ve missed several months! You definitely should be getting them! There are two likely possibilities: Gmail is either sucking my emails into the Promotions tab OR into spam… which unfortunately happens sometimes! From your side, check your spam folder and search for emails from [email protected]. I have also just sent you an email direct from me with instructions on how to whitelist me (hopefully you can search for my name or blog name and that will pull up even if it’s going to spam). I have marked you in my email list as a VIP too… don’t know if that will help things on your end or not, but it’s the highest mark I can put on subscribers so it will at least send you all the emails that go out! Oooh, VIP! It’s like we’re besties 😁. I did get the Whitepage email, thanks Sarah! Still not getting an update for each post, but I do get some…when I come to read them I find other posts that I miss. Not a big deal, I always read them all eventually! As for the giveaway, I just announced it! Congrats to Katie — she is one lucky duck (who will also have to be super patient, since this wine rack was not the easiest thing for me to build, ha!). This article is awesome. The rack I loved the most. I would like to have one for my home. Thanks for sharing. Ahh family memories. Probably the time we were all together for Christmas at my grandparent’s house. (I live there now. Soooo many reno projects!!!) We live in the country, so my grandmother would always take table scraps outside to the compost pile. Since she had company, she just set the scraps on the porch on the plate to be dumped into the compost later. Then we heard a rustling noise outside. My grandfather looked out the door and delivered the verdict. “Possum,” he said, very matter of fact. Well, time went by and we kept hearing the possum and someone would open the door and shoo it away. But it was a persistent little fella. Finally, my grandfather, whose temper was exactly as long as a eyelash, had enough. A shotgun was produced from somewhere and he stepped onto the porch and we heard a boom. Well done project! I hope to be ambitious enough to tackle something like this one day! “temper as long as an eyelash”… I think I’m going to have to remember that phrase and use it in the future! Too funny! BEAUTIFUL wine rack!! I love the detail in it and how unique it is :) I have a wall in our house that is solely dedicated to wine, because why not! The last time my family and friends were together was for my bridal shower. My best friend and mom created the most beautiful decorations from fresh flowers and gold accents. It was everything I could have dreamed of and what made it even better was that all my favorite people were in one room :) But my one Aunt has an interesting eye for gifts and she usually goes off the directed path when it comes to gift giving as well. When I opened her gift I didn’t really know how to react besides staring at it and then my mom(which is terrible, but true). I could see everyone in the room open their eyes wide in discomfort because they didn’t know how to react either. But then, I started to laugh uncontrollably until I was in tears. Everyone else joined in and it was a moment I will never forget. We took a break from opening gifts at that point to pull ourselves together haha. The last time my family got together was for Thanksgiving. We love to play board games together, and towards the end of the night we started an epic game of nouns in a cup. Since this involves charades, I decided to change into some comfy sweats so I wouldn’t be restricted by the dress I was wearing. Naturally, cameras came out precisely this moment. Even though I dressed nicely for the holiday, the only photos are of me in my sweats. Thanks family. Ugh… I dress up, no pics. I go makeupless and hair all out of control, endless photos. I relate 100%. Hi Sarah! I emailed you recently; I’m the one that recently bought a house (I’m calling it Mabel) and you very sweetly gave me good luck wishes for it! The funniest story I can think of from hanging out with family recently is when my boyfriend’s parents came over to have dinner with my family and I, and my grandma started (after a few glasses of wine) talking about how she took anatomy class at university when she was young. Well, my family’s from the Czech Republic, and my grandma went to school during communism, and there we are, at the dinner table, and she’s going over how they had to deal with cadavers in the basement of the school, but they either had no electricity or they were unable to use it, so they had to use candlelight (creepy yet?). Really awesome dinner conversation. With my very American boyfriend’s parents. It was great :D Love your blog! We got together with my parents for Thanksgiving and my mom taught my daughter how to play the card game “Slapjack” My daughter cracked up when she accidentally slapped my mom’s hand instead of the pile of cards. This happened several times. 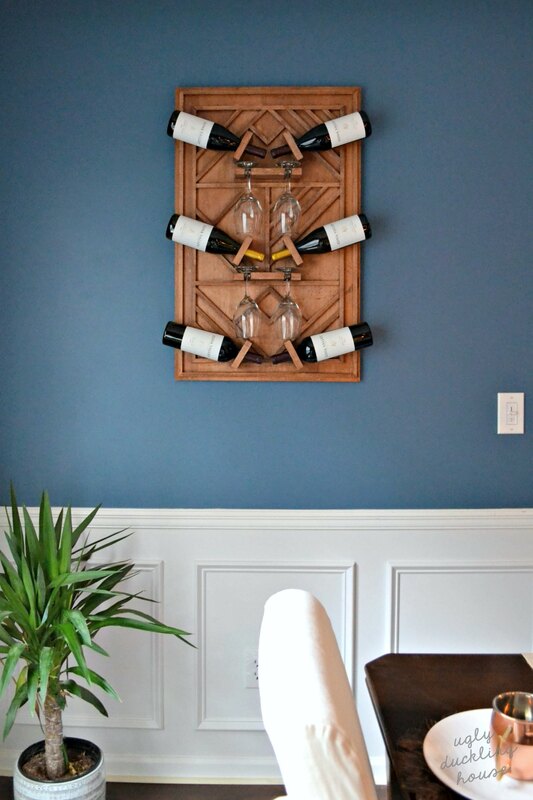 Love love love the wine rack! 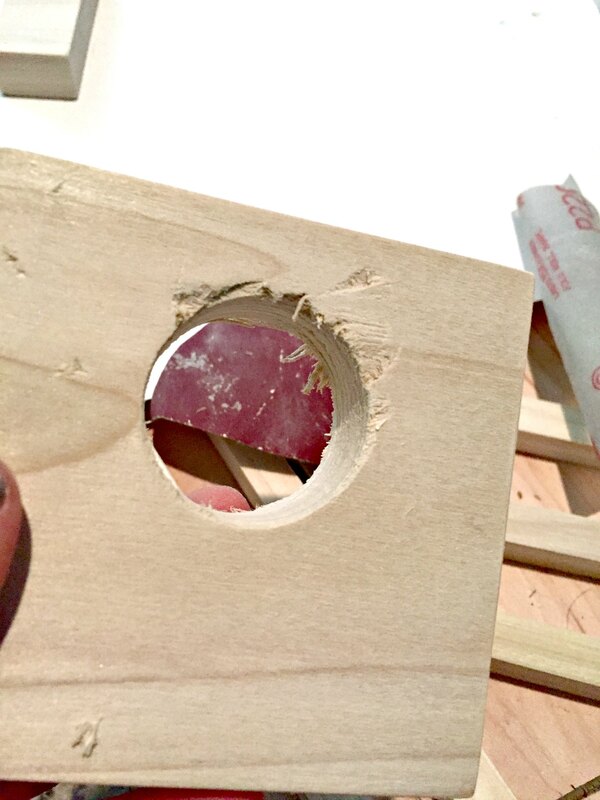 As a novice diy/woodworker I can surely relate to the frustrations of the “oopsies” along the way of new projects, but it makes the finished results even more enjoyable! Most recently my friends and I celebrated Friendsgiving as we’ve done the last few years, and it has steadily grown from a casual 6-8 people to well over 30 now with new significant others and extended friends now being invited. This year we needed a new venue to hold everyone, so my friend Bridget offered up her home that could accommodate us all. The usual hostesses small apartment wasn’t going to work this year. In all the hustle of sorting who brings what for our potluck style dinner with soo many new faces, we forgot to assign the turkey! Everyone thought the new hostess was making it and she thought the past hostess was bringing it! So needless to say we had thanksgiving dinner minus the main course…Side dishes for everyone! Aw, that sounds like something I would overlook completely. Though I bet it was a fun night anyway! The last time my entire family got together things got wild with the grandkids! My sister and I have 5 kids 4 and under all together, and there were cookies consumed under the table, lots of fighting over toys, and a diaper blowout to top it off!